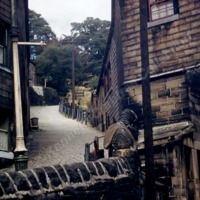 Taken from the Old Bridge, the Buttress climbs up to Heptonstall Road. 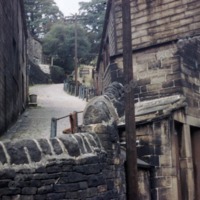 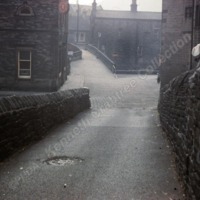 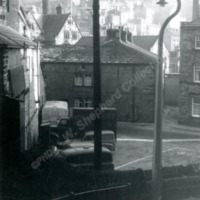 The Hole in the Wall in on the right and in between the start of Royd Terrace. 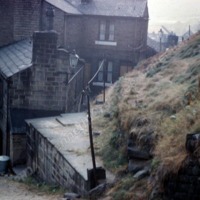 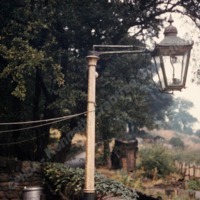 Far right part of The -hole-in-the-Wall pub, the building in the centre on Hangingroyd Lane has long gone. 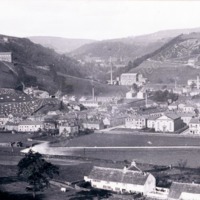 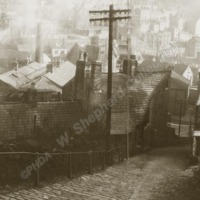 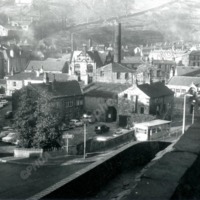 View over the town from the Buttress with Buttress Brink tenements on the right, demolished 1967/8. 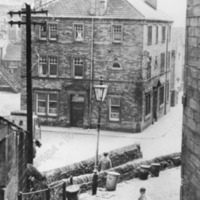 The tenements at the bottom of the Buttress were demolished in the mid-1960s as unfit for human habitation. 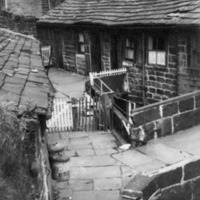 The view here if of one of the maze of landings in the block accessed by external steps and alleys. 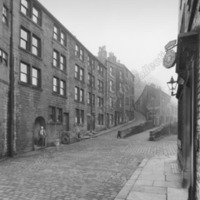 The tenements at the bottom of the Buttress were demolished in the mid-1960s as unfit for human habitation. 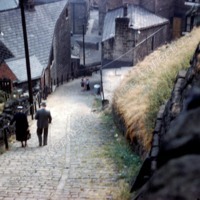 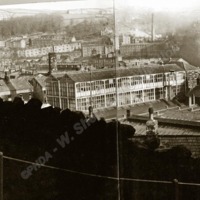 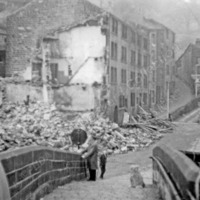 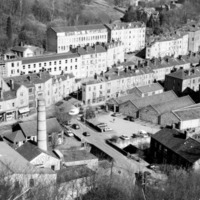 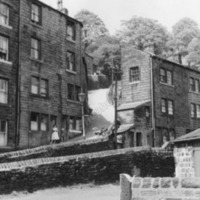 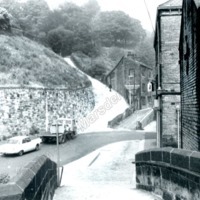 Seen here probably not long before demolition from Hangingroyd Lane looking up the Buttress with Royd Terrace on the right. 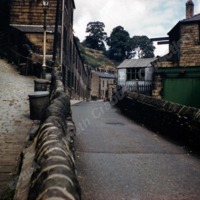 Taken from the Old Bridge looking up to the Buttress with Royd Terrace on the right. 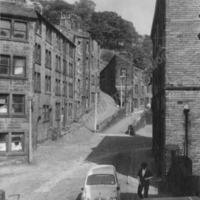 The tenements at the bottom of the Buttress were demolished in the mid 1960s as unfit for human habitation. 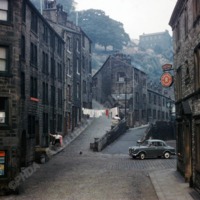 The gentleman standing in the archway is Hebden Royd UDC Surveyor, Mr Moyse. 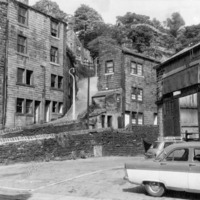 The tenements on Old Gate at the bottom of the Buttress were demolished in 1967 as being unfit for human habitation.